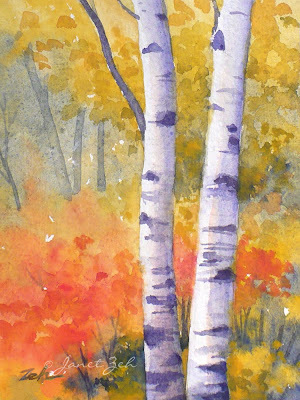 Two birches glow white against the blazing colors of a fall landscape! 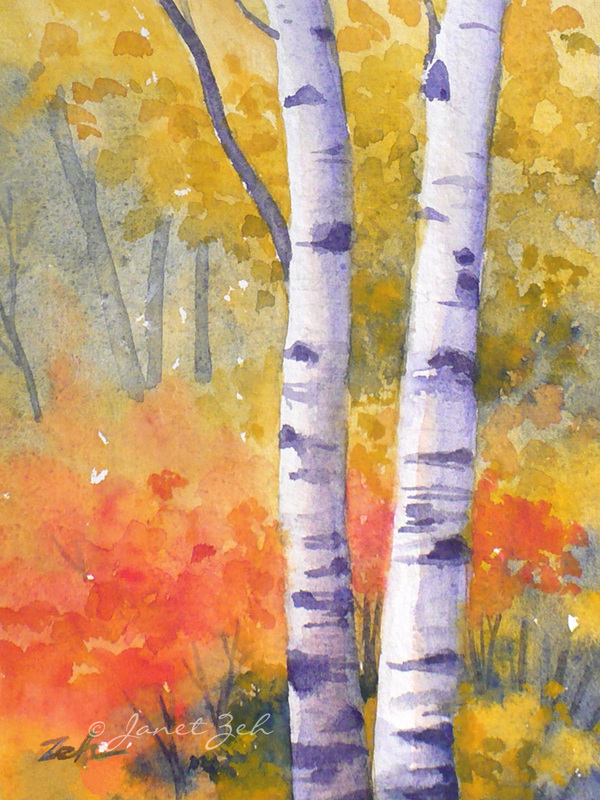 This birch tree piece was done in watercolor on handmade paper giving it an impressionist feel. White Birch Trees print is available in several sizes and may be ordered framed, unframed or on canvas. Click the Order Print button below for sizes, options and prices.